Google and Intertrust have announced the creation of Patent Shield, which is designed to protect startups. Essentially, the exchange is access to a patent portfolio for an equity stake in the startup. It seems to put startups in the position of a much more resourced company with a portfolio of patents and presumably freedom to operate. This appears to be another attempt to get ahead of something like the patent troll problem; however, it seems to be aimed at patent demands from entities that are practicing not absolute non-practicing entities because the portfolio is supposed to provide leverage against the entity asserting infringement initially. Interestingly, this appears to be a great way for Google and Intertrust to find licensing partners for their patented technology without looking like a “bad guy” by operating through patent demand letters—let them come to us. Very clever. It also gives Intertrust the opportunity to offer its IP services to startups, and maybe a chance for additional investment/acquisition opportunities through notice about great new startups that have attracted the attention of established players in the market. Very, very clever. For more details, please see here. Advances in technology and the widespread use of the Internet and mobile communication devices have helped fuel the growth in financial technology (fintech) products and services. Consumer access to these new technologies has resulted in changes in their preferences and expectations regarding how they conduct financial transactions, such as using their smartphones to make payments or purchases. Fintech products and services include small business financing, education refinancing, mobile wallets, virtual currencies, and platforms to connect investors and start-ups. There is no universal definition of fintech. It is also difficult to quantify the size of the industry because data are not separately reported from existing financial services or products’ data, and because the industry is constantly evolving. Traditional financial service firms also provide fintech products or services (e.g., existing financial services firms introducing fintech products and services). The fintech industry is generally described in terms of subsectors that have or are likely to have the greatest impact on traditional financial services, such as credit and payments. The Report is a helpful overview of FinTech and more reports are supposedly on the way. Hopefully, a report on IP and FinTech will be released. Unless South Africa's Advertising Standards Authority receive $680 000 in funding before the end of the month, an application will be launched to liquidate the non-profit which will likely see the collapse of the self regulated body, and concern then that advertising and packaging disputes will be left to the state and the courts. The ASA and its business rescue partners are launching a fund raiser tomorrow for the bail-out. The ASA is a non profit body that has been in existence for 50 years, set up to assist self regulate advertising disputes. When working effectively it has allowed for speedy and relatively inexpensive dispute resolution for both competitors and consumers. On 21 October 2016, the Advertising Standards Authority (ASA) went into Business Rescue (an intervention that attempts to prevent a company from its financial distress to prevent its liquidation). By 30 April 2017 the ASA needs to secure at least $384k to cover its historical debt. Within a short time thereafter, a further $296k is required to fund its operating capital in the immediate future. As a result a fund raising initiative is being launched at the special AGM. The special AGM is taking place at the SAB World of Beer 15 President Street Newtown at 10am on the 25th. The proposal for ongoing short term funding requires a commitment of $100k per month from its members in proportion to their ad-spend. 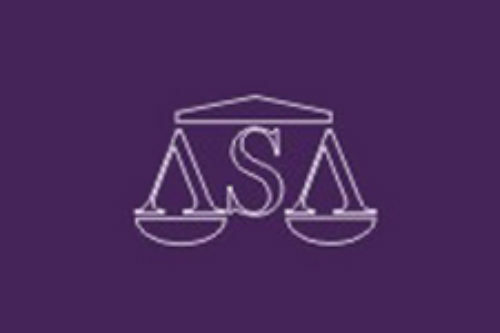 A failure to secure short term funding will result in an application to liquidate the ASA which will be to the detriment of creditors, up to 20 people will lose their jobs and the ASA services will be lost and/or left to the courts (with cost and other disadvantages) and/or government (which will mean the advertising industry will be regulated by the state). In the longer term the ASA intends to cover its costs through a hybrid model which includes an advertising levy (66%) and a contractually negotiated rates from media (34%). The ASA has applied to become an industry ombudsman under the Consumer Protection Act. This could alleviate its litigation challenges (over jurisdiction) and over time resolve some funding issues. The ASA are attempting to also deal with potential jurisdictional challenges through stronger member contracts requiring media, marketers and advertisers to agree to be bound by their Codes (which incidentally include the Sponsorship Code). Their are various risks to accepting the Business Rescue Plan - the retrenchment process will be costly, there is an unquantified risk of a damages claim which could bankrupt the ASA, the ongoing jurisdiction battles over non members is subject to an appeal which could severely hamper the ASA if the appeal by them is not successful. 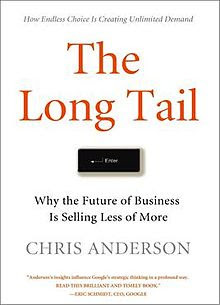 What happened to the idea of the "long tail", as popularized by Chris Anderson over a decade ago? The very fact that this blogger feels the need to revisit the notion suggests the extent to which it has fallen into disfavor. In brief, Anderson’s idea contrasted the manner by which goods are typically sold in a bricks-and-mortar environment from the potential for distribution in an on-line world. The principal limiting factor in a bricks-and-mortar setting is that only a small number of products can be displayed in any given store; even within these displays, the specific placement can materially affect the sales potential of that good. What follows is that only a small number of products will be available for purchase and success is built on selling a large quantity of these limited product options. Thinking in terms of a statistical distribution, from the point of view of product sales, the two tails fall very quickly from the elevated and narrow central tendency. There are few sales beyond those enjoyed by the small number of market leaders. In other words, the sales of these items take place at the tails of the distribution. Unlike the bricks-and-mortar situation, consumers are navigating to on-line commerce, favoring niche products and markets over traditional main types. 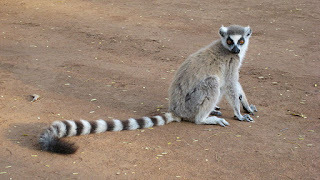 The problem with the notion is that it has proved difficult, extremely so, to identify instances where the long tail has taken place. A reminder was reported in the February 25th issue of The Economist (Print title: “Indie blues: happy ends are rarer than ever for those trying to profit from Indie films”) in connection with the indie cinema industry. Short for “independent”, the indie film business refers to a movie that has been produced outside the major film studio framework. Distribution will also likely take place outside the major channels. Indie films are also usually characterized by lower production costs, limited first release and greater diversity of artistic expression. While not common, an indie film on occasion can rival a film produced by a major studio, if it has sufficient financial backing, effective distribution and promotional buzz. The winner of the most recent Oscar awards was best picture was “Moonlight”, which shares indie film characteristics. Another indie movie that received an Oscar was the film “Manchester by the Sea.” With movie-watching no longer solely a cinema-based activity and on-line viewing taking place via a number of digital platforms, one might be tempted to imagine that the long tail model has been a boon to the indie film business. It turns out that for all the on-line options, success of an indie film still tends to rely on exposure to a cinema theatre audience, which is diminishing, especially among young viewers, and the DVD market, which is in freefall. Seen in this way, indie films look a lot like their major studio competitors, just less expensive in the making and with even a lesser likelihood of success. “But most minor films disappear online, since a viewer can scroll through only so many options. Even the streaming sites themselves, says Anne Thompson of IndieWire, a website, admit that ‘a cold start on one of their platforms can be very cold indeed’”. 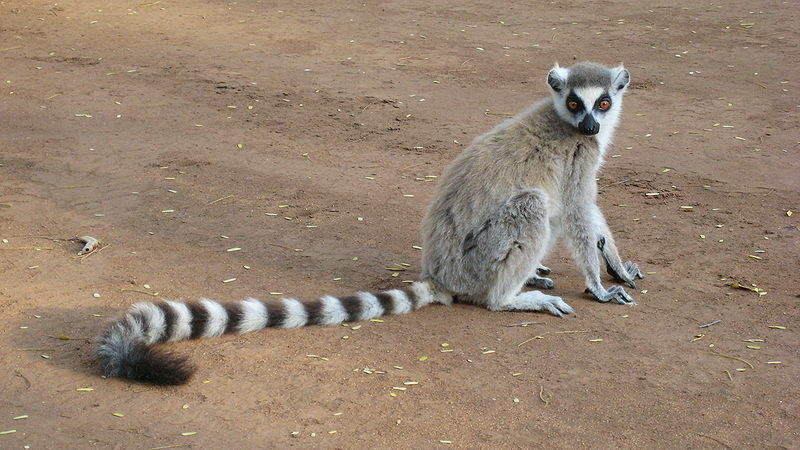 All in all, it would seem that, as far as the indie film business is concerned, the long tail is no tail at all. “Fintech patents” are defined by EMW as: “Patents relating to banking, exchanges, investment, insurance, payment architecture and calculation of taxation, filed with the World Intellectual Property Organisation.” For more information, please see EMW’s blog post, here. Corporate Counsel also discusses EMW’s blog post, here. The Corporate Counsel article notes the US lead over China in Fintech patenting. I am still holding out hope for a publicly available report on the IP landscape for Fintech. The current market for patents is extremely challenging, especially for sellers. There is a ton of friction in the secondary market for all parties, but with our new UP3 program, sellers will submit patent family details and a price they are willing to accept directly into our submission portal. By eliminating price negotiations and providing quick reviews, UP3 will reduce the total transaction time compared to a typical patent transaction. It is also clear that sellers want the flexibility to package multiple patents into a single submission. That’s why the UP3 program allows sellers to submit portfolios of up to five (5) patent families in one submission. That way, sellers can group patent families that complement each other in a way that best markets their assets. Our short timeline will speed up patent transactions. The UP3 submission portal opens April 24, 2017 and closes May 23, 2017. After the submission period ends, Uber will review the submissions and provide sellers with our decisions by July 7, 2017. The Uber website includes helpful frequently asked questions with answers, the patent purchase agreement, additional information, and submission terms and conditions. The submission form will be available on April 24, 2017. The article suggests fear of loss of profits is the main motivation for acquisitions. The PricewaterhouseCoopers report, Global Fintech Report 2017: Redrawing the Lines: Fintech's Growing Influence on Financial Services is available, here, and contains a lot of interesting information concerning the future and FinTech. I have not seen an analysis of the IP landscape for FinTech yet. Does anyone know of one? Patents support innovation by allowing companies to protect their technology from copying, to share and develop new technology, and to obtain the freedom to operate necessary to bring new products to market. But a patent system that can be manipulated through abusive litigation tactics, including the assertion of low quality patents, will undermine rather than support innovation, disserving consumers and the economy by draining scarce resources from the development of new products. In Europe, PAE lawsuits have begun to follow the same trajectory, growing in number and often targeting SMEs. PAE activity has long existed in Europe, accounting for roughly 10% of the lawsuits filed in Germany between 2000 and 2008 and in the United Kingdom between 2000 and 2013.5 More recent evidence, however, suggests that PAE activity is accelerating rapidly. An empirical study of the registers for recording patent ownership in Europe demonstrated that PAE purchases of European patents increased ten-fold from 2005 to 2015.6 Most of the transferred patents involved communications or computer technology and were purchased by PAEs based in the United States. Those purchases now form the basis of a growing number of PAE lawsuits in Europe against productive companies. European countries together received 80% of all PAE cases filed outside the US over the past five years.7 Germany receives by far the greatest number, with the large majority of those cases proceeding during 2015 and 2016.8 A recent study provides examples of lawsuits brought by PAEs in Europe.9 According to this study, while PAEs account for 19% of known patent lawsuits filed in Europe accounted for in the study, it is nonetheless a significant fraction which will undoubtedly come to increase in the next years. This rate corresponds roughly to the same level of PAE activity in the US in the early 2000s to mid-2005. Despite the alarming data and active discussions amongst the legal community, US public authorities nevertheless did not seriously tackle this problem which has led patent lawsuits to skyrocket in the US since then. The position paper further suggests: increasing judicial discretion to minimize abusive patent practices and encourage higher quality patents as well as make better data available concerning patent litigation across Europe. According to the paper, these measures are necessary in light of the soon-to-be operational European Patent Court. It looks like happy days are here again: U.S. recorded music sales were up 11.4 percent in 2016. The industry brought in $7.65 billion in revenue, according to the RIAA, up from $6.87 million in 2015. Although the music business showed signs of a recovery at the half-year mark, the 2016 year-end results show more significant growth, led by streaming revenue. This is the first time since 1998 that the U.S. industry has experienced a double digit increase in overall revenue. Back then, the industry enjoyed revenue of $13.7 billion. The article further breakdown revenues based on streaming and vinyl sales among other categories. Notably, streaming revenue is on the upswing and is accounting for a lot of the growth. Interestingly, the article notes that the revenue is about half from the “good old days” of 1998. The RIAA report is available, here.